A 43-year-old Tunisian failed asylum seeker who has used 20 separate fake identities may finally be facing expulsion after having eluded authorities four times to avoid deportation from Germany. Tunisian Fathi Ben M. was arrested in December for selling drugs on the Warsaw bridge in Berlin. The drug dealer was caught red-handed, but was released – despite the fact that the man, who was a rejected asylum seeker, had been able to leave the country and had previously gone underground. For years, the 43-year-old has managed to evade police and defy his deportation orders. Only last weekend he was arrested once more. German authorities say that this time he will be kicked out of the country, Berliner Zeitung reported. Fatih Ben M. entered Germany illegally in 2014 and was transferred to Bautzen in Saxony. There, the Tunisian drug runner had managed evade the police to avoid his deportation four times. He later moved to Berlin. 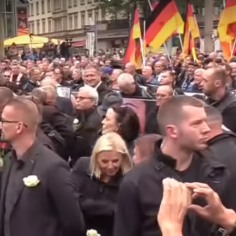 When the police in Berlin released him from custody, state authorities in Saxony notified them that the illegal immigrant as a national danger, alleging ties to radical extremist Islamists. 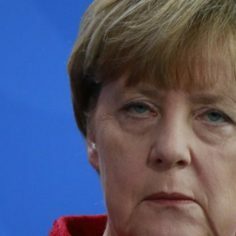 The German government has said that it would step up the deportation of migrants whose applications for asylum have been rejected. But the deportation of migrant men has caused outrage from human rights groups and German opposition parties. Activists, some of them themselves refugees or migrants, have blocked the deportations of refugees and migrants, also at Schoenefeld airport near Berlin. 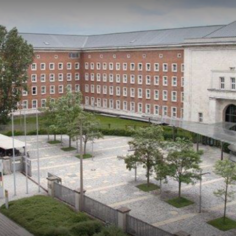 The left-wing coalition government in Berlin has been vocal in its opposition to forced deportations and has resisted the German federal government on the issue. There are currently an estimated 53000 rejected asylum seekers living in the German capital and 11 800 of those are candidates for forced deportation. The case of Fathi Ben M. had caused a great deal of commotion because of the conflicting assessment of the dangerous nature of the man. The police in Berlin have claimed that he is just an ordinary drug dealer who had been caught with only a “very small amount of narcotic drugs”. Although the Federal Office for Refugees had ordered the deportation of the man for the first time already in October 2014, the deportation ultimately failed because no one knew where Fathi Ben M. actually was. The Tunisian’s arrest took place in Directorate 5, the area of Neukölln and Kreuzberg. When exactly and where the arrest took place, the Berlin police would not say despite repeated demands. “The procedure was undertaken by the Saxon police,” said a spokeswoman. 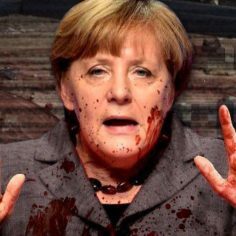 But the responsible police in Chemnitz could give no further information when contacted by the Berliner Morgenpost. He had pretended to be a Tunisian with the authorities, then an Algerian, Moroccan or Libyan. Altogether he used 20 different alias identities according to the police – more than previously known through a court order. In April 2017, the Federal Office for Migration and Refugees (BAMF) rejected his asylum application as “manifestly unfounded”. He will now be transferred to Saxony and deported.